I may be a week or so late to this New Year nostalgia train, but I couldn’t let 2016 get into full swing without sharing our most popular posts from 2015, and let’s just say it’s… an interesting mix, ha! I honestly don’t think ANYONE would have guessed that the number one post would have done so well, and it still cracks me up that that was the most popular one! We’ve also got quite the theme going, which is awesome because it means we can pretty much tell right where to gear our future blog posts too, but we’d love, love to know what some of your favorites were that didn’t make the statistical list! There was plenty of color to be had this year, but pattern came into play too! 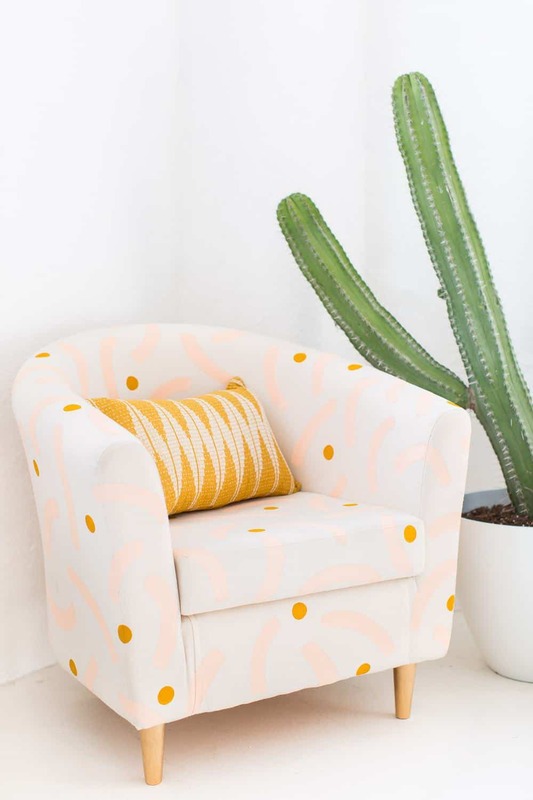 You all loved this painted patterned chair DIY, and we did too! I may be bias, but I’m always down for some gold legs, too. 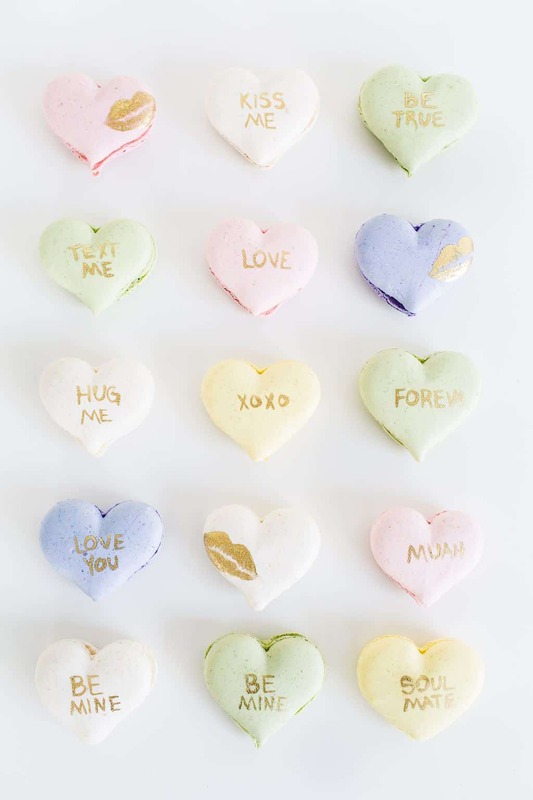 Macarons definitely made an appearance on the top 15 list, and conversation macaron hearts proved to me drool worthy. We have lots of macaron projects up our sleeves this year, too, so I hope you’re not tired of them yet! 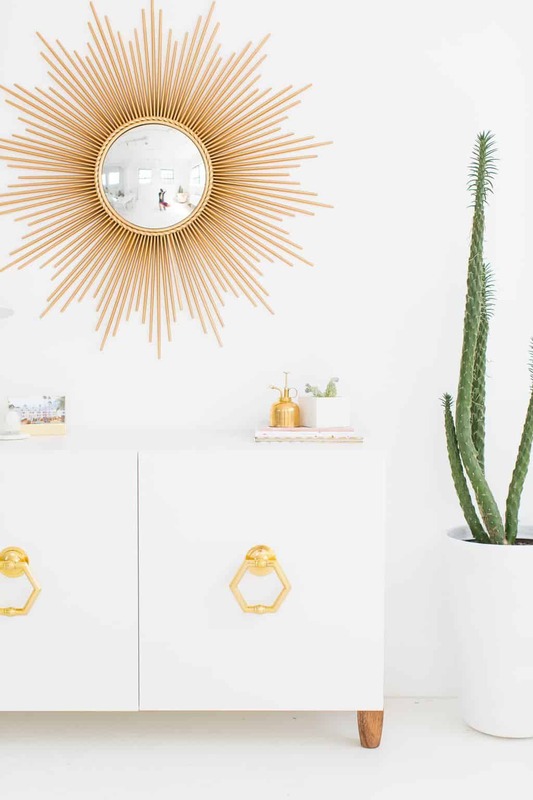 As it turns out, you all just can get enough retro home decor inspiration, and neither can I! 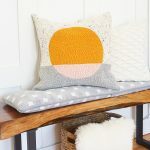 We had a whole slew of retro inspired projects this year, and they almost all made the top posts list. Craziness! 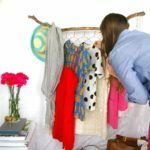 These projects are definitely time consuming to come up with and execute, but according to you, they’re worth it! Ah, yes, the perfect touch of gold. You can really never go wrong with that, am I right?! 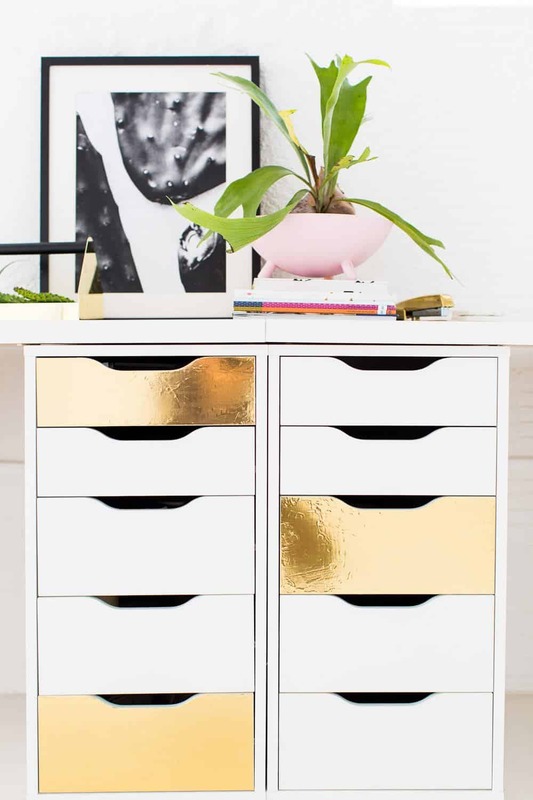 We still have these DIY metallic gold drawers fronts on our desks at the studio, and I’m glad you loved them as much as we do! 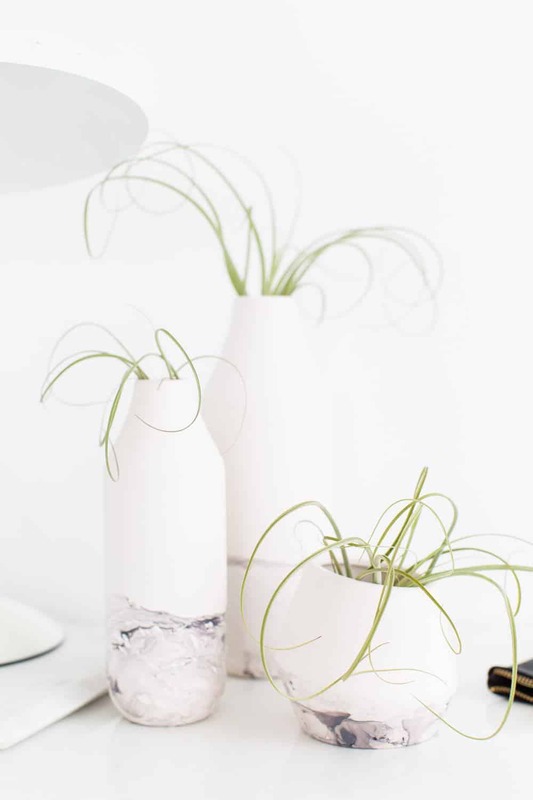 It’s the perfect touch of interest for breaking up the all white space. Apparently when you combine florals AND macarons, the internet will explode a little bit. Who knew?! 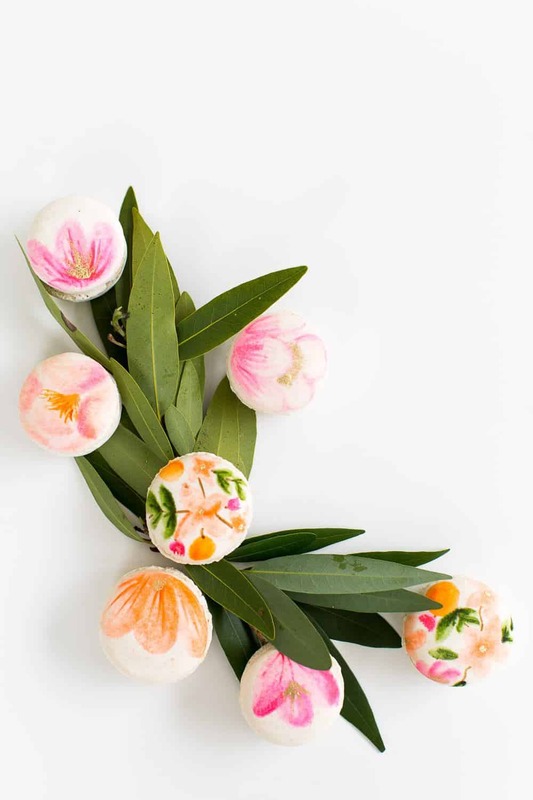 These DIY floral macarons were a huge hit, and they’re definitely my top 5 personal favorites from last year. We were lucky to have some really awesome contributors this past year, and Teri just so happened to be one of the DIY rockstars for S&C! 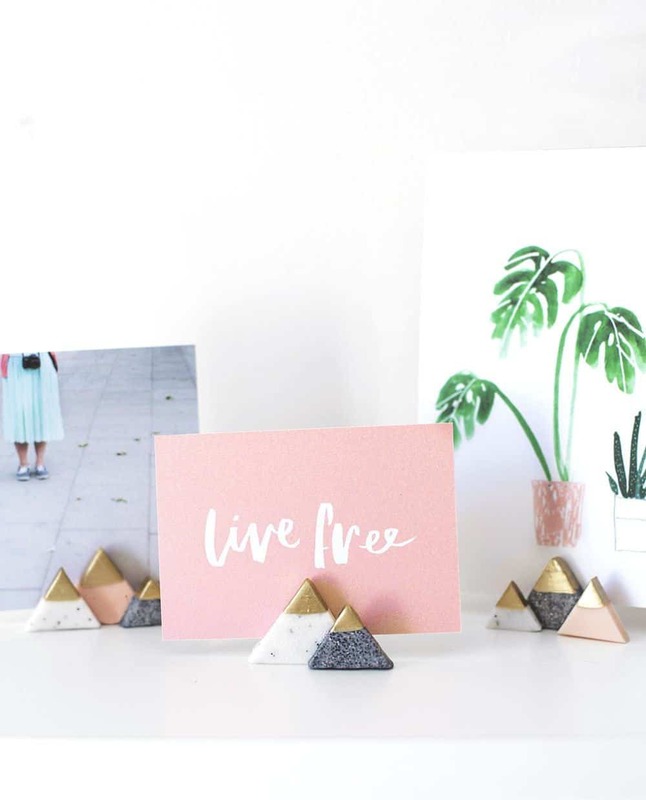 She made these cute little mountain photo holders, and even just since this past holiday season, they’ve already reason to be a huge hit for the blog. 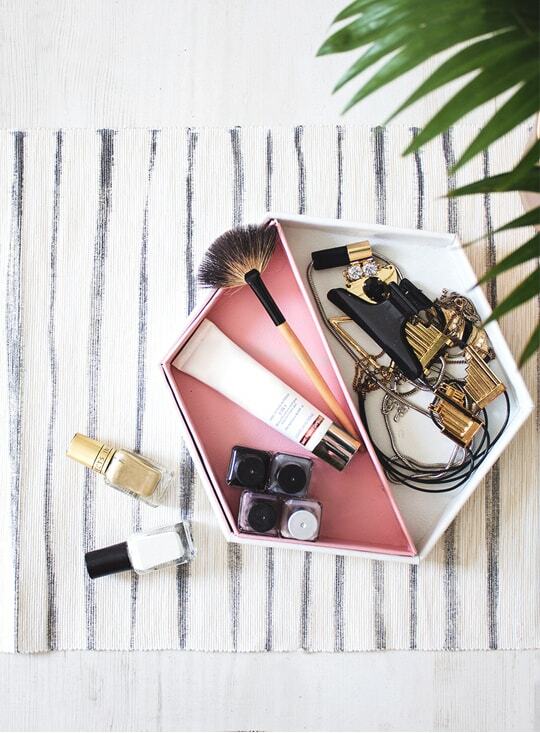 Teri also supplied us with the DIY leather hexagon tray, and you guys definitely put it on your to do list’s! 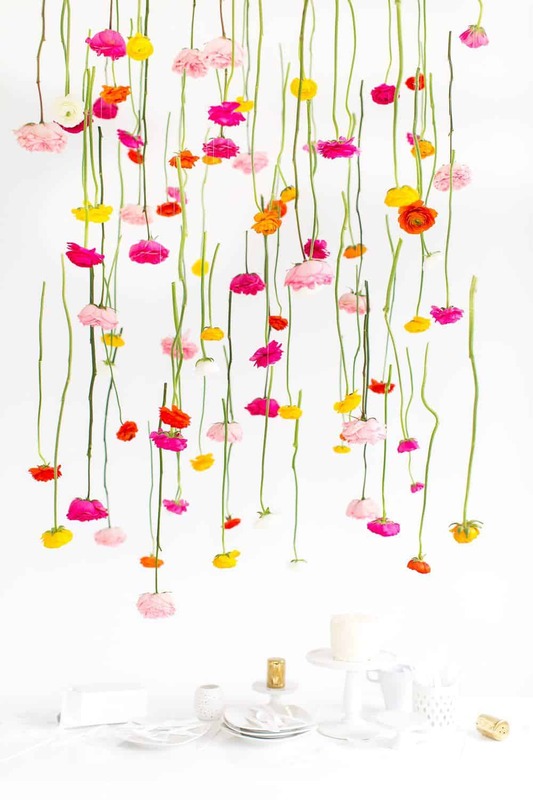 Though Jared and I almost killed each other in the making of this DIY floral installation, it was at least well worth it. The second this post went live we started getting a huge response from you all, and I’m so glad you loved it!… and that Jared and I still love each other afterwards, haha. Even though this post only went live less than a month ago, it BLEW UP. 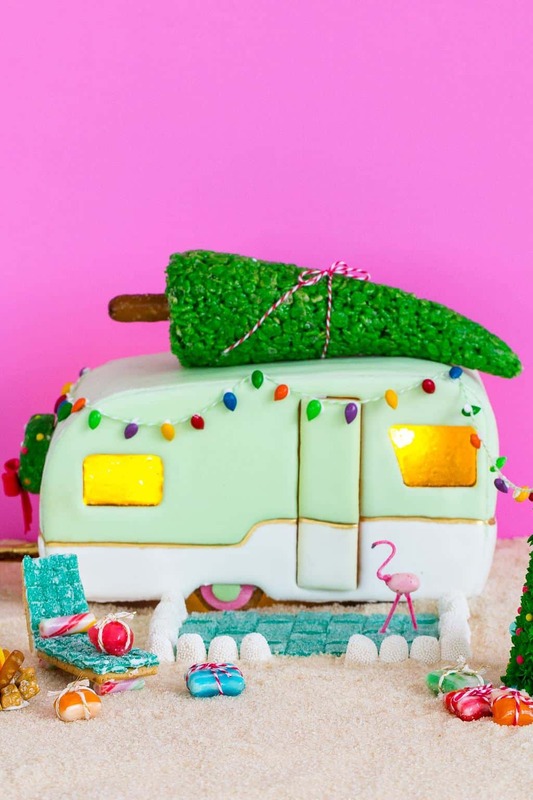 As it turns out, there was clearly a missing niche for DIY gingerbread campers, and I’m so, so thrilled to see that it went viral and that I’m not just a crazy person sitting over here by myself and with my ideas. 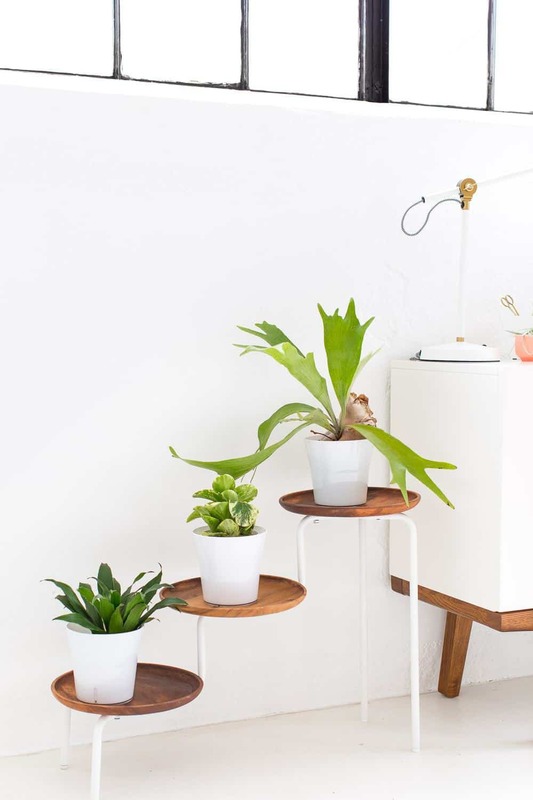 Wood was also reining theme this year, and these DIY Ikea wooden plant stand was a winner too! We still have this holding my semi-dead plants, but the stand itself is going strong at least! 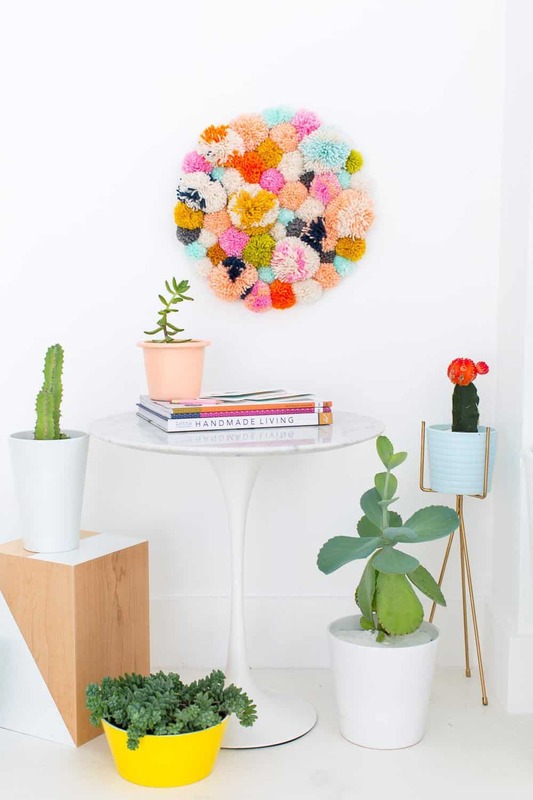 This was one of my personal favorites as well, the DIY pom pom wall hang. It looks crazy, colorful, fun, and is definitely a conversation starter. Good thing Jared loves to make pom poms, cause this pretty little thing takes some time to make, but it packs a big punch. 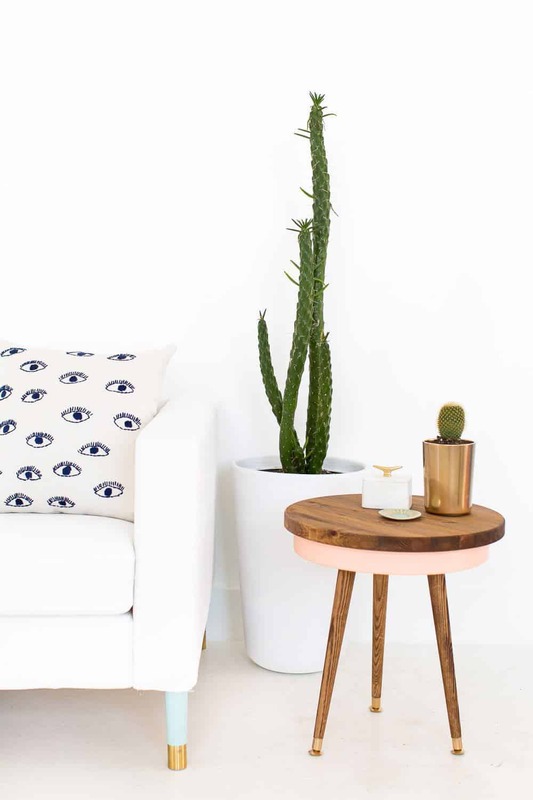 Rounding out the last of the home decor projects, and our #2 most popular post of the year, was this DIY mid century side table. I have to say, using a cake pan as part of your supply list for a side table is definitely not the norm, but I’m glad you all didn’t judge me for it! And last, but clearly not least, our MOST POPULAR post of the ENTIRE year was…a pool float roundup?!!??! What in the world?! 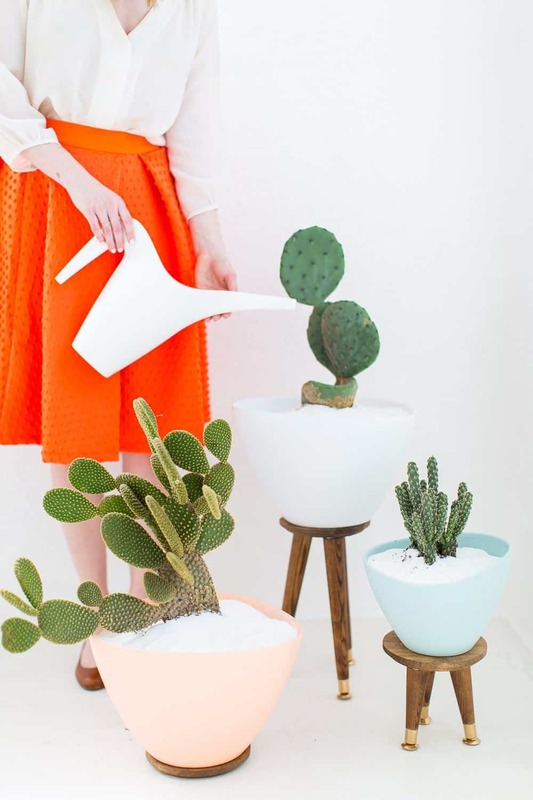 When I randomly decided to put this product roundup together, I had NO idea it would go viral. Alas, it did! It’s now been pinned over 55,000 times since the Summer!! Holy smokes. It just goes to show that you never quite know what will strike a cord in advance, you just have to go with your gut and let it surprise you sometimes. SO, now that we’ve determined what the most popular posts were based on the numbers, what were some of your favorites that maybe didn’t make the list?! I really loved this post and this post, and though they didn’t make it to the top, I’d still do them all over again. I think the one thing I loved the very most were the mountain photo holders. But it’s been an exciting year of 2015. Hope 2016 is going to be similar! We had fun making that project! So excited for 2016! I made the mountain photo holders for my sister who lives….in the mountains in Alberta. She loved them. I love how unified your aesthetic is. So many great ideas! 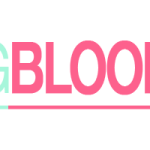 A blog about beauty, fashion, DIY, food & drink, home decor, and more. I loved so many of these! 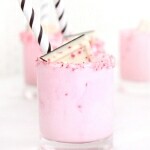 But your drink recipes are always in my top favorites; I’m surprised none of them made the list! Thanks, Alexandra! Plenty of new recipes to come in 2016! Oh my, pool floats! Haha, love how random the interest is at times! I am thrilled that your hanging flower chandelier post made it in there and couldn’t agree more about the flamingo macs being added. Can’t wait to see where 2016 takes you all!